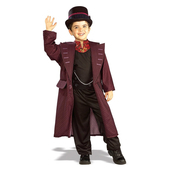 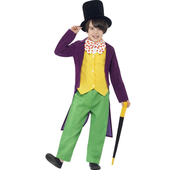 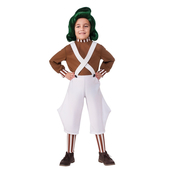 Official Licensed Willy Wonka Kids Costume from the famous book & movie, Charlie and the Chocolate Factory. 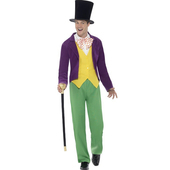 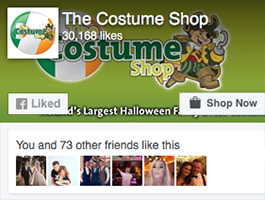 Costume includes a purple velour jacket with attached yellow waistcoat front and a pair of green trousers. 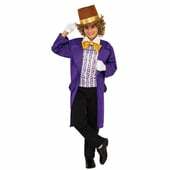 Also included is a bow tie and hat. 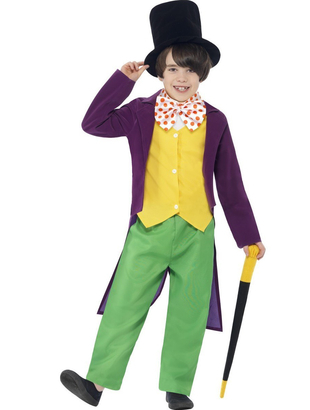 To complete the look a foam cane is also included.